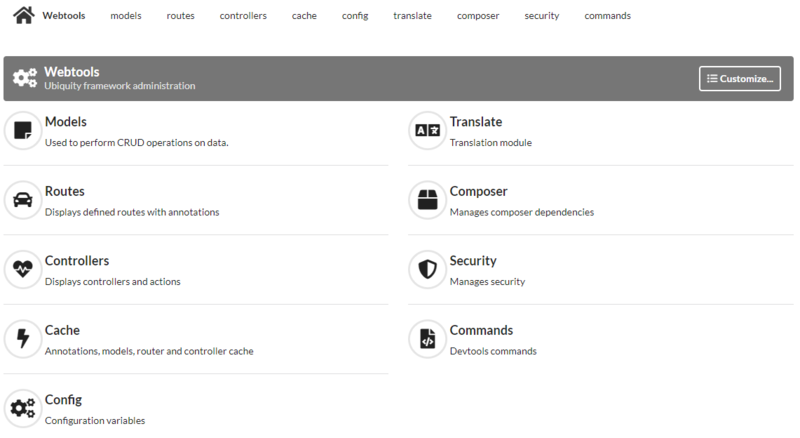 ubiquity utilizes Composer to manage its dependencies. So, before using, you will need to make sure you have Composer installed on your machine. 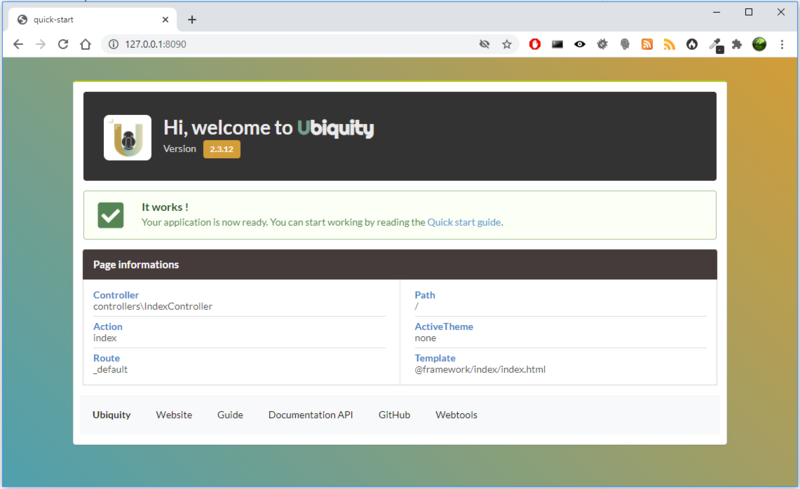 Download the Ubiquity-devtools installer using Composer. You can get at all times help with a command by typing: Ubiquity help followed by what you are looking for. If port 8090 is busy, you can start the server on another port using -p option. The web application UbiquityMyAdmin saves time in repetitive operations. We go through it to create a controller. 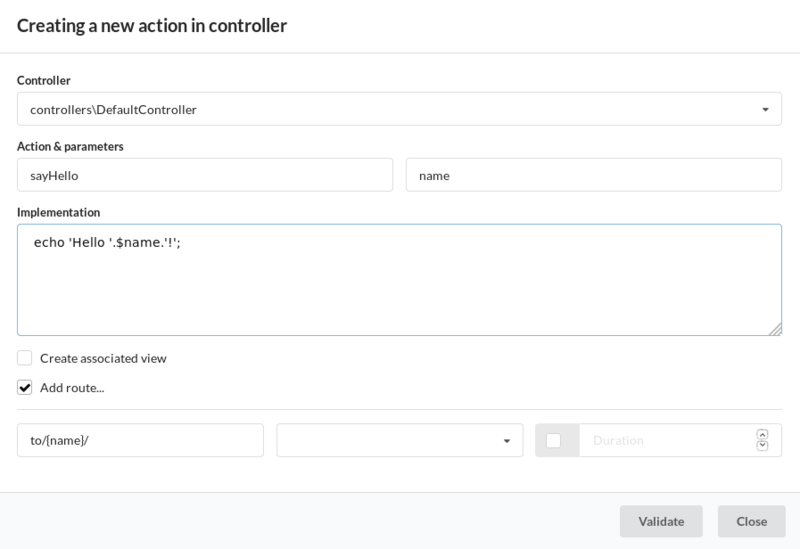 The default action is the index method, we do not need to specify it in the url. The automated parameter set to true allows the methods of our class to be defined as sub routes of the main route /hello. No changes on the routes are effective without initializing the cache. Annotations are never read at runtime. This is also a design choice. then select Add new action in.. item. The route will use the two parameters of the action. 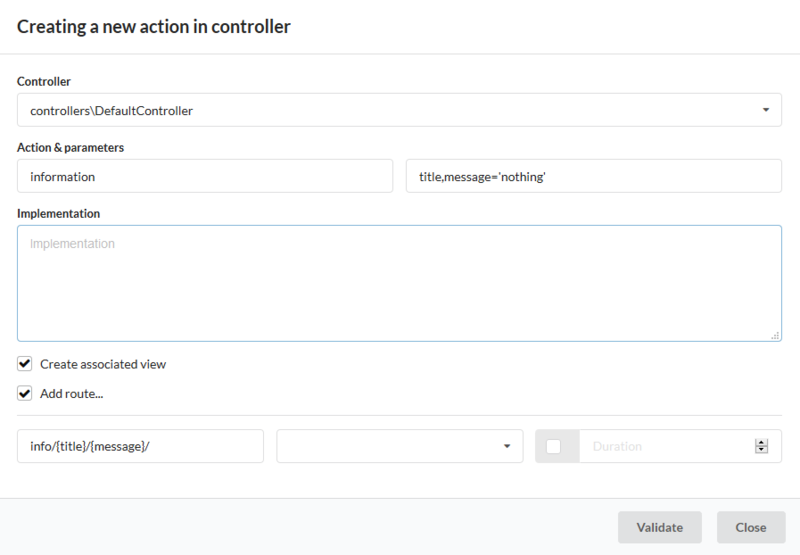 The view checkbox is used to create the view associated with the action. © Copyright 2019, phpmv Revision e494dd35.